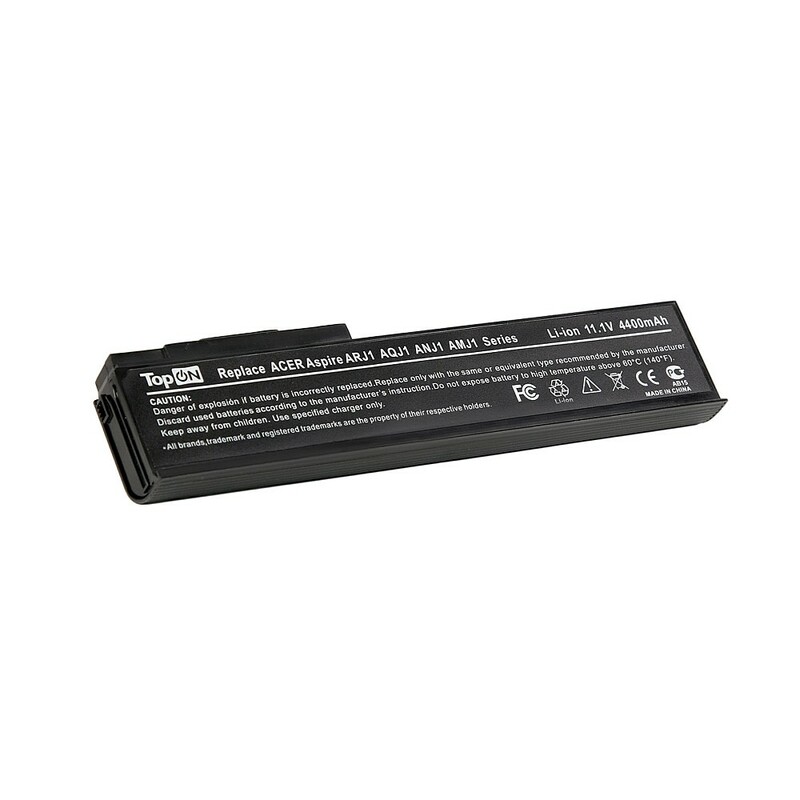 Аккумулятор для ноутбука Acer Aspire 2420, 4620, Extensa 3100, 4630, TravelMate 2420, 6593 Series. 11.1V 4400mAh 49Wh. PN: BTP-AMJ1, TM07B41. TM07B41, TM07B71, GARDA31, GARDA32, BTP-AMJ1, BTP-ANJ1, BTP-AOJ1, BTP-APJ1, BTP-AQJ1, BTP-ARJ1, BTP-AS3620, BTP-ASJ1, BTP-B2J1, MS2180, AK.006BT.021, AK.009BT.056, BT.00603.012, BT.00603.039, BT.00603.040, BT.00603.044, BT.00604.005, BT.00604.006, BT.00604.017, BT.00604.027, BT.00605.006, BT.00605.007, BT.00607.003, BT.00607.009, BT.00904.003, LC.BTP00.021, LC.BTP00.022, LC.BTP01.010, LC.BTP01.011, LC.TG600.001. Acer Aspire 2420, 2920, 2920Z, 3620, 3640, 3670, 4620, 5540, 5550, 5560, 5590, 5561, 5562, Extensa 3100, 4120, 4130, 4220, 4230, 4420, 4620, 4630, TravelMate 2420, 2440, 2470, 3010, 3240, 3250, 3280, 3300, 4320, 4330, 4335, 4520, 4720, 4730, 6231, 6252, 6291, 6292, 6293, 6492, 6493, 6553, 6593 Series.